K and H Farms: Batch 2, Spring CSA--Ready to Eat! Batch 2 of our Spring CSA is off to their new homes to be cooked and enjoyed. We finished processing just before the rain made it in. Most of this batch were between 4 and 5 lbs. There were a few 3.5 lbs but they averaged out to 4 lbs. We would have been shocked if they had weighed less because they have been voracious eaters! They have definitely made a "mark" on the pasture--eating a scratching up the pasture before every move! We did have a slight problem with the chicken plucker. Stacey had a tough time getting the scalding water and the plucker to work consistently. 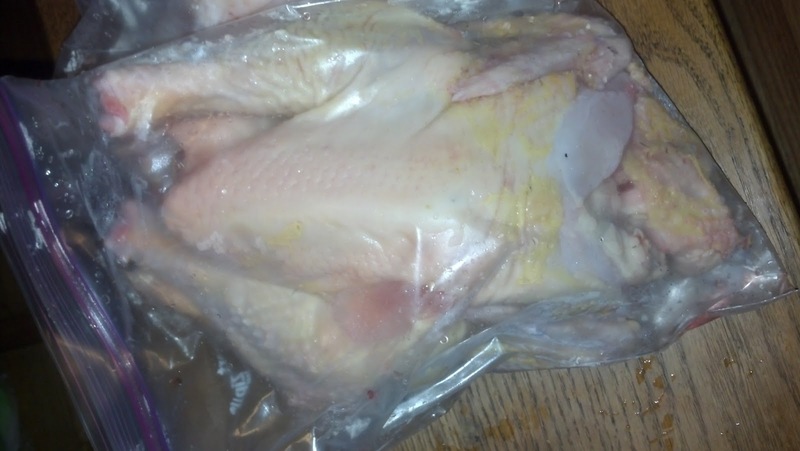 One time the chicken came out perfect, the next time it came out the half it's skin gone! He's going to work on it some more and hopefully he'll get it working right. We have one more month of pick ups for the Spring CSA. 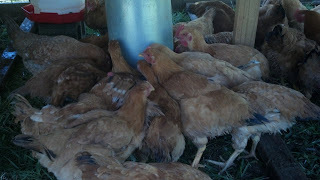 There is still chickens available for the Summer CSA but please email or call before placing an order.